Another Bank Holiday weekend has just come and gone and for the most part the sun shone down on us making for perfect garden weather. We'll soon be using a pair of rare breed pigs to help clear the next plot in our rapidly growing Kitchen Garden. The ten week old Berkshires, reportedly our oldest breed of pig, are arriving this week - much to Glyn's growing excitement! As part of our ongoing restoration, the pigs will be helping us to revive an age-old tradition of clearing the land ready for planting. They will be rooting out vegetation and clearing the grubs from the soil. And as Glyn says, they're also adding fresh, nutritious fertiliser as they go! Here's a sneeky peek of our new piggy additions to the garden. Why not come and see them for yourself and you'll even be able to have a go at feeding them too. A sudden down pour won't dampen your spirits anymore. We now have a healthy supply of emergency ponchos to give out to unsuspecting visitors should the heaven's open. They're free and can be picked up from the visitor reception. So don't let the Great British weather get the better of you this summer - get out and about...and stay dry! Yes, at long last our clay court will soon be ready to welcome its first tennis players of the season. The new surface has arrived and - weather permitting! - will be laid on Monday. Well it would seem that despite the freezing winter, the cold temperatures have actually had a beneficial effect on the garden. 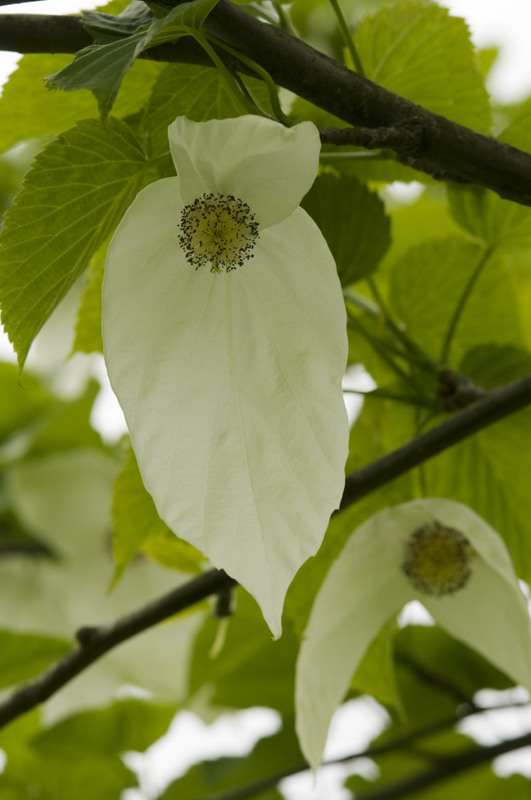 Not only have the magnolias had their best year in over a decade, but it looks like our Chinese Handkerchief Tree is about to follow suit! Give it another few days and the typical white bracts will be looking amazing and giving our courtyard a real spring lift.